Hemodynamics makes it possible to characterize in a quantitative way, the function of the heart and arterial system, thereby producing information about what genetic and molecular processes are of importance for cardiovascular function. 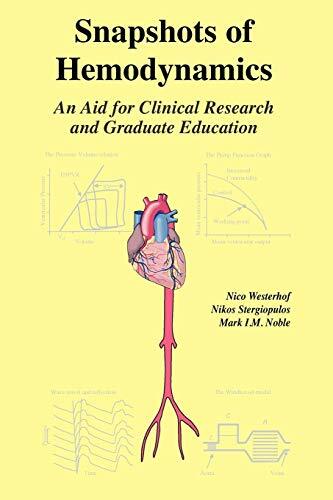 Snapshots of Hemodynamics: An Aid for Clinical Research and Graduate Education by Nico Westerhof, Nikos Stergiopulos and Mark I. M. Noble is a quick reference guide designed to help basic and clinical researchers as well as graduate students to understand hemodynamics. The layout of the book provides short and independent chapters that provide teaching diagrams as well as clear descriptions of the essentials of basic and applied principles of hemodynamics. References are provided at the end of each chapter for further reading and reference.